Although Navigator Systems is a UK company we recognise that our customers come from all over the world and speak a multitude of different languages. To make it easier to use our software we have built in translation functionality. 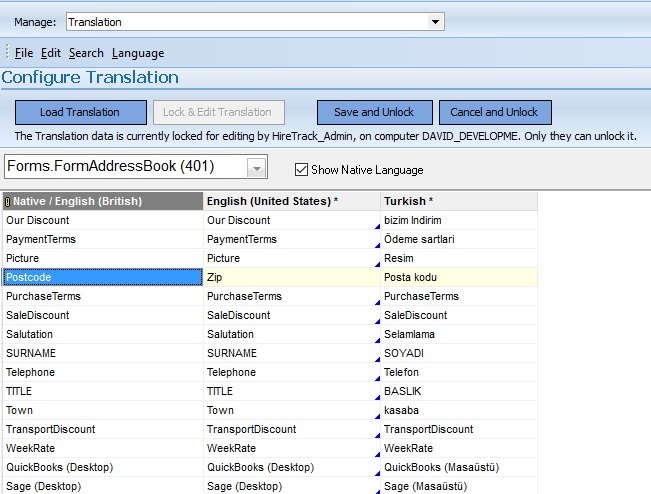 This feature allows you to translate any part of our software in to any language that you choose. 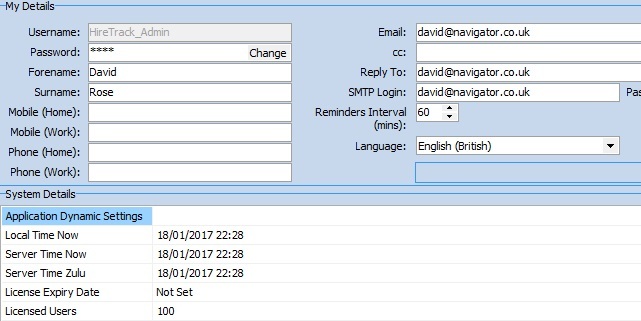 Within HireTrack NX the current language can be selected by each individual user, allowing the sales team to work in English whilst, if desired some of the warehouse could run in French, whilst others run in German. If desired, the current language can quickly be switched within the software. Translating from English to the users language is done within the program and can be done across the whole application, or just specific forms that may be required in different languages. 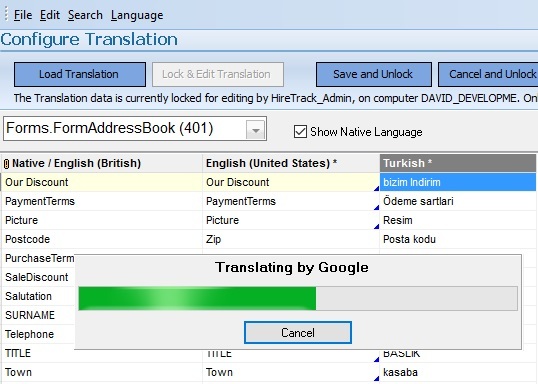 To make the translation process simpler, HireTrack NX will talk directly to Google’s Translation API and translate as much as it can automatically.